Matisyahu at the Commodore Ballroom, Vancouver, July 27 2011. Cameron Brown photo. Reggae has been done. A lot. There are countless bands citing the style as one of the ingredients in their cocktail. But few take it for as unique a ride Matisyahu. 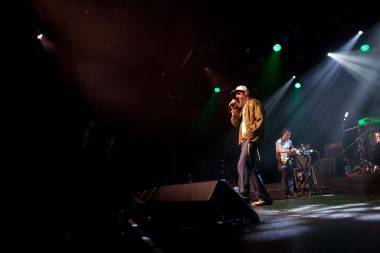 He brought his take on the genre to the Commodore July 27 and injected some spirituality back into it after the new generations of amateur toasters and stoners had bled it dry. 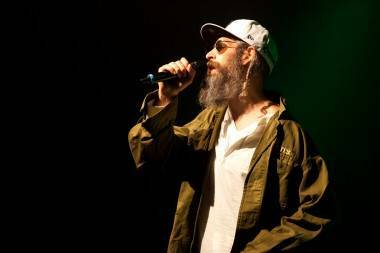 The real selling feature of Matisyahu is the spirituality behind his work. You know it plays a serious role within the music when the performer has to reset his yarmulke during particularly vigorous bobbing. Reggae has always fit well with spirituality, albeit Rastafarian, so it makes sense that it is draped in Judaism while fused with hip-hop by this devout Hasidic Jew. The result is moving, gripping, and at times truly revolutionary. Matisyahu and his back-up band The Dub Trio took the stage a little late and were all business in getting going. The sound was perfect and though the rapper took a long time to warm up to his audience, his voice was strong. The mic effects were stellar and he slipped into a beatboxing section that was not of this world. The man has talent. You mustn’t discount the musicianship of the Dub Trio, particularly Stu “Bassie” Brooks whose bass was rib shattering. 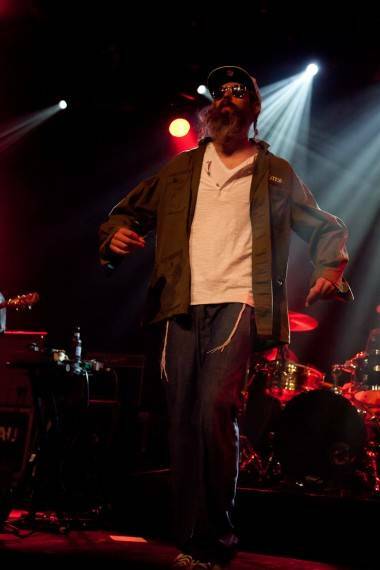 It groaned like a monster beneath the steady pace of Matisyahu’s vocals, which gave the music a multi-sensory experience. Matisyahu loosened up enough to crowd surf by the end of the show so perhaps it was just tour fatigue that kept him so sedate. But beggars can’t be choosey; the man is doing something impressive and different. It’s a muddy music scene of lackluster efforts out there so it’s nice to see someone who has seen the light clearly enough to create something special. 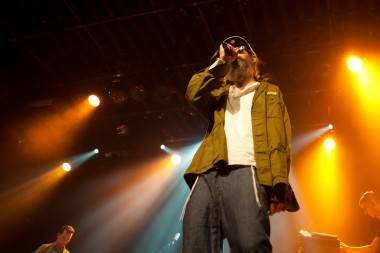 This entry was posted in concert reviews and tagged Commodore Ballroom, hip-hop, Matisyahu, Vancouver concerts. Bookmark the permalink. I think this is the most well-written piece I’ve read on this site, nice job. At first I unfortunately discounted him because based on WHO was getting into him, I assumed it was a gimmick (people who NEVER talk about reggae and couldn’t recite an Alpha Blondy song if their life depended on it) but the reality is that he’s genuinely talented.